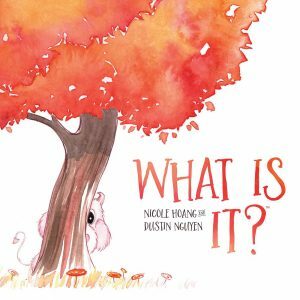 Writer Nicole Hoang created a story called What Is It? when she was 10 years old. More recently, well-known comic artist Dustin Nguyen (Batman: Li’l Gotham) illustrated her story — and presented it to Nicole as a wedding gift. Now Kaboom! Studios have put words and illustrations together into their first hardcover illustrated children’s book. “In a nearby forest, a young girl discovers a mysterious little creature. Together they seek to understand who or what the other is. Featuring beautifully painted illustrations by Dustin Nguyen, What Is It? is a story of wonder, discovery, and the joy of making new friends.” It’s available now, and Bleeding Cool has an interview with the creators too.